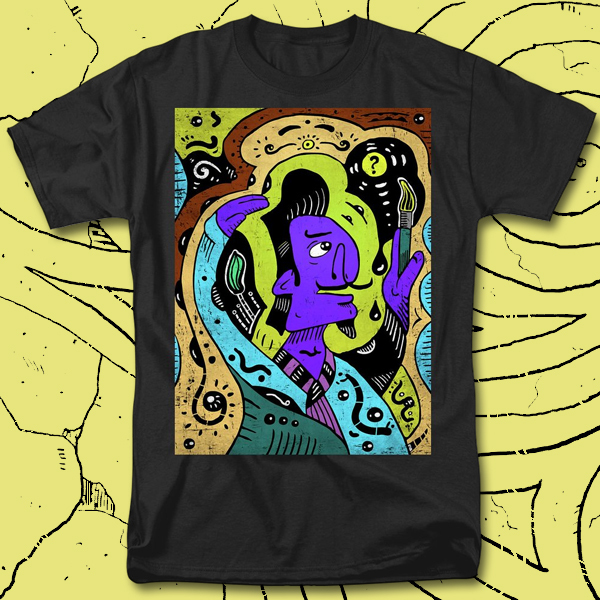 Surrealism style colour t-shirt of of a surreal painter. Surreal painter is thinking what to paint next. Automatic drawing of a subconscious world. T-shirts for men and women, all t-shirts are made from 100% pre-shrunk, hiqh-quality cotton and are available in five different sizes. All t-shirts are machine washable.